Find a great roofing option for your home or commercial building with TPO. 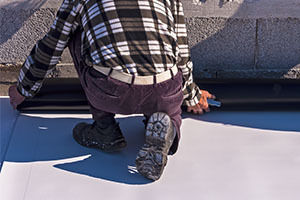 Thermoplastic Polyolefin (TPO) roofing is a single-ply, flat roofing material that works beautifully for many homes and commercial buildings. There are many different flat roofing options available to you, but when you want the most bang for your buck, there’s no better choice than TPO. It’s affordable – From the very beginning, when TPO membranes were introduced for the first time back in the early 1990s, they were made to be a cost-effective alternative to PVC roofing materials. Today, TPO roofing typically costs between two and four dollars per square foot for the material and installation, making it still an incredibly affordable choice today. It’s durable – TPO can stand up to almost anything. It’s resistant to mold, punctures, tears and even dirt accumulation. It’s also flexible enough to stay strong, even through foundational shifts. And, TPO can even withstand temperatures of up to 274 degrees Fahrenheit without cracking or showing any other signs of stress. It’ll help you save more energy – If energy efficiency is important to you, TPO roofing is a wonderful choice. TPO roofs have a white, reflective surface that helps to reduce heat gain and saves you energy, thus, saving you money. It’s long-lasting – No one wants to invest in a new roof, only to have to replace it a few years later. With a TPO roof, you can rest easy in knowing that your roof was designed to last. Depending on how well you care for and maintain your TPO roof, you can expect to get about 20 years out of it. Let us help you determine if TPO is the right option for your home or commercial building. There are so many reasons to choose a TPO roof for your home or commercial building in Texas, but regardless of why, you need to ensure that you’ve found the right contractor for the job. 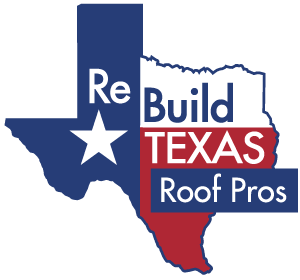 At Rebuild Texas, we’re proud to be your premier roofing contractors in Texas, and we make it a point to always keep our prices competitive. Contact us today for your free roofing estimate.